Christopher P. McCormack serves his clients as counselor and advocate in environmental law, environmental litigation, and complex commercial litigation. Clients rely on Chris to overcome complex environmental challenges that arise in corporate and real estate transactions. Drawing on a wide range of experience and deep familiarity with environmental law, regulation and policy, he works with clients and consultants to find creative solutions to assessment, remediation, compliance, brownfield, environmental insurance and Transfer Act issues. His perspective is informed by his litigation experience representing clients in state and federal proceedings involving environmental cost recovery and insurance coverage disputes, including complex multi-party remediation liability cases and lead counsel responsibility for Superfund site coalitions, as well as his active practice in complex commercial litigation. 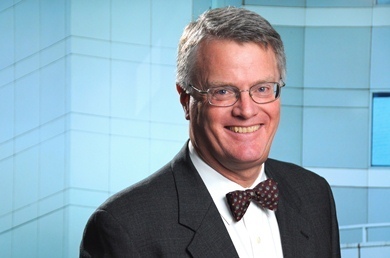 Chris served as Chair of the Environmental Section of the Connecticut Bar Association from 2015 to 2017 and is the Section's Legislative Liaison. He has served as member and Membership Secretary of ASTM Committee E50 on Environmental Assessment and Risk Management, and chairs the Task Group for ASTM Standard E1903-11 on Phase II Environmental Site Assessments. He also participated in revision of ASTM's industry-standard practice for Phase I site assessments. Chris has written and lectured extensively on environmental site assessment issues. Before joining Pullman & Comley, Chris was a partner at Tyler, Cooper & Alcorn, LLP, and chair of its Environmental Practice Group.